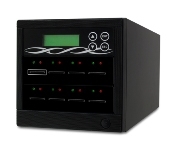 The HDT1 Hard Drive Terminator is the perfect solution to securely destroy all your magnetic and SSD hard drives. The unit is manually operated and does not require electricity for operation. Just lower the handle and a steel pin will perforate the hard drive. This procedure can be repeated to ensure a thorough physical destruction. The HDT1 can also be used to destroy other media like mobile phones and flash memory cards. 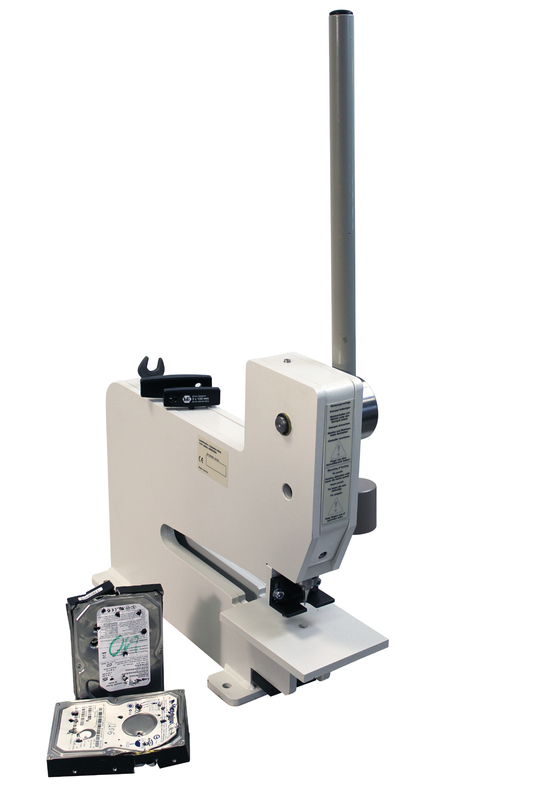 The HDT1 Terminator offers a portable low-cost solution to ensure that all hard drives are physically damaged before they leave your facility. The HDT1 is made in Germany and comes with a two year warranty. 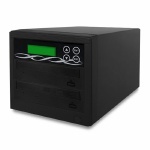 Suitable for hard drives, SSD's and memory cards. Media is perforated by a steel pin. Verifiable destruction of hard drives. Little strength required to operate. Compact design for use at any location. 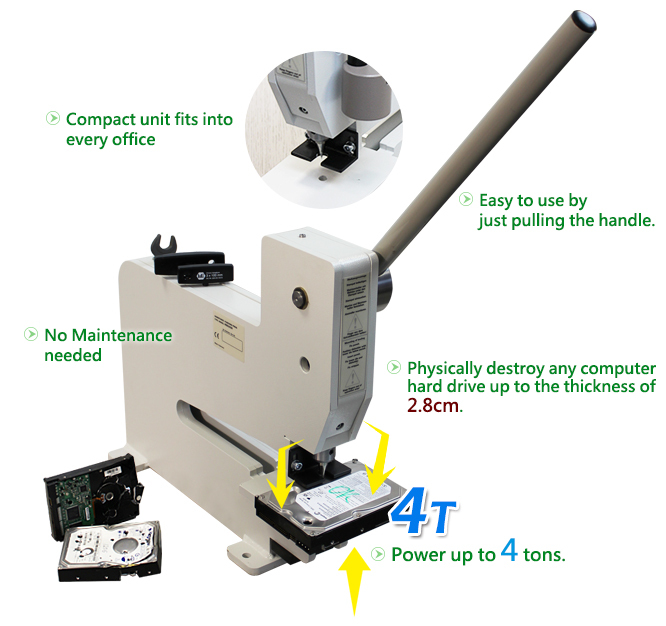 Physically destroys hard drive to prevent retrieval of data. Destroy a hard drive in 5 seconds with ease. Compact unit fits into every office.